AG Under GHWB Is Leading Candidate For Trump's AG - Joe.My.God. Barr, 68, a well-respected Republican lawyer who served as attorney general from 1991 to 1993 under President George H.W. Bush, has emerged as a favorite candidate of a number of Trump administration officials, including senior lawyers in the White House Counsel’s Office, these people said. Two people familiar with the discussions said the president has told advisers in recent days that he plans to nominate Barr. 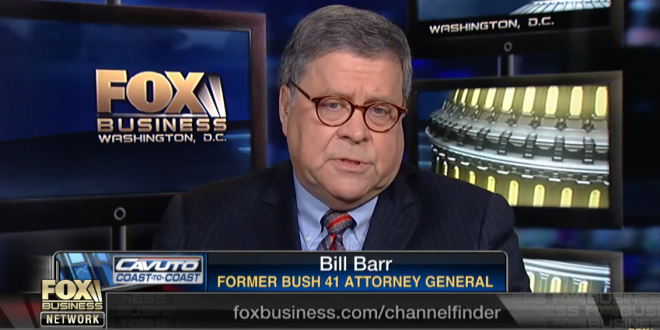 Those familiar with the discussions said Barr, having already been attorney general, doesn’t feel a particular ambition for the position, but does feel a sense of duty to take it if offered.